Narrowing down Mildlife's style into a genre is almost impossible, as they bond over the desire to push musical boundaries. No strangers to the Melbourne band scene, the four old friends have been drawing crowds through an epic journey at intimate venues and festivals for the best part of the past 4 years. 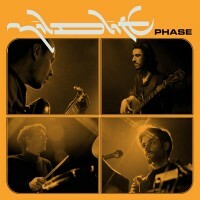 Developing a tight live show bolstered by wild improvisation, the group have left punters itching for their first full length studio album "Phase" that mines jazz, psych and disco for its irresistible groove. Patrick says: Finally available to the international market after that DIY Aussie release came and went, "Phase" is worth any kind of wait. The work of Melbourne jazz funk ensemble Mildlife, the album offer spacey krautrock solos, driving disco rhythms and warm vocal melodies in the Kings Of Convenience tradition. Currently causing a stir amongst fans of jazz, indie, Balearic and pretty much anyone who enjoys good things.